Please consider a gift to the Every Member Campaign to support our philanthropic sector through education, advocacy and professional development awards. Your Every Member Campaign funds and supports education (scholarships, conferences), mentoring (career advancement, professional growth), and research ("What Canadian Donors Want?" biannual survey for example). 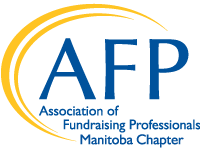 The AFP Canada Foundation for Philanthropy is committed to supporting members in Canada. We know you are too! Three days with nearly 4,000 others dedicated to making the world a better place was inspiring. Thanks to generous donors, AFP scholarships made my first ICON happen. I encourage members who are themselves from a diverse community, or are employed by grassroots organizations that primarily serve diverse populations, to consider applying for the Diverse Communities Scholarship Program next October. To all my fellow donors who invest in our profession and make these opportunities happen – thank you, your generosity is appreciated!" -Derek Yarnell, scholarship recipient for AFP 2019 ICON in San Antonio, Texas. To make a gift online click on the donate button or contact Courtney Leiman at 204-787-8588 or courtneyl@afmanitoba.org.